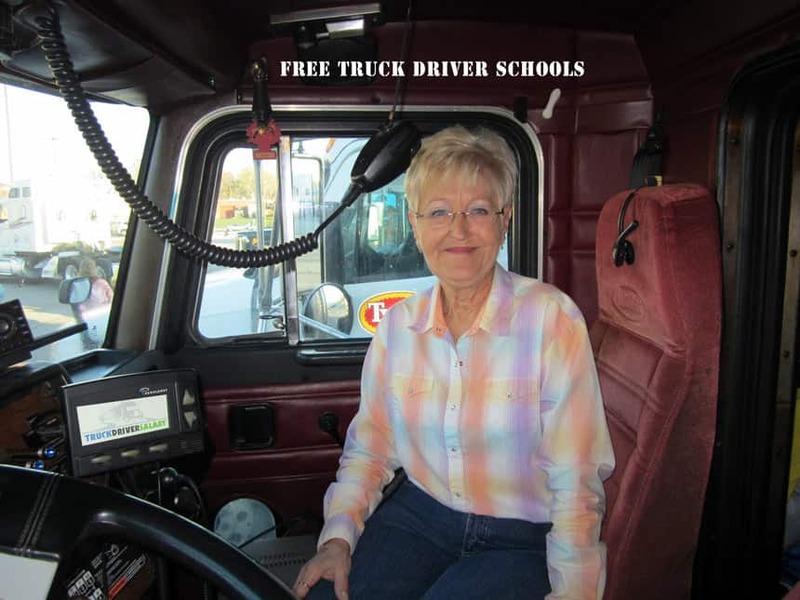 Daly’s Truck Driver School is one of the leading truck driving schools in GA. And the school is consistently praised by drivers that attended the school to get their truck driving career off the ground. Daly’s provides students will real world equipment. 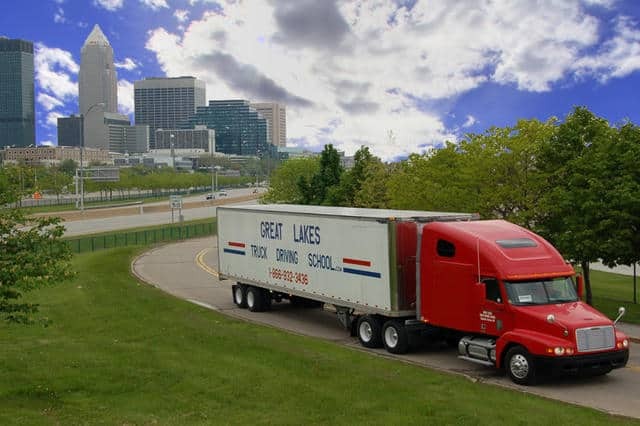 The company’s philosophy is that a trucker’s career will begin with a test in a truck and be consumed with work in a truck, so the student should spend the most time possible in a truck. When students enter the school, they’ll spend less time in front of the computer and more time practicing with the same equipment that they’ll be using during their tests. Students aren’t given old, dated equipment. Whether in the yard or road training, the student will be using late model equipment. This is the same equipment that graduates use for employment. This may sound like a no brainer but it not common in the transportation industry and one thing that sets Daly’s apart. Trucking students at Daly’s Truck Driver School practice and learn on the same equipment that they’ll be using in the field. When transitioning into the workforce, the school knows that drivers will need the latest and greatest equipment. The company is so confident that they have the best equipment around that the recommend you visit other local Georgia CDL schools to see how they compare. A custom training facility was built by the trucking company to offer CDL training that is unmatched. The company has permanent shelters that allow for training in the heat or rain. There’s also six acres of asphalt that allows drivers to get behind a rig and learn the basics. Daly’s has two, state-of-the-art carousels that are full-size, state testing equivalent. Facilities are, in some cases, three times larger than the facilities offered by the competition. This means that you’ll be in one of the largest training centers in Georgia, or on the east coast for that matter. Students can opt to receive training for their Class A or Class B license. Full-time and part-time options are available, and all of the classes consist of just 15 days of training. These are all-day trainings, and you’ll go from the training manual to obtaining your permit within the first week. The second week consists of hands-on training as well as what you’ll need to do to perform a pre-trip inspection. Six maneuvers are taught during the second week, too. The final week consists of additional training as well as advanced shifting patterns. 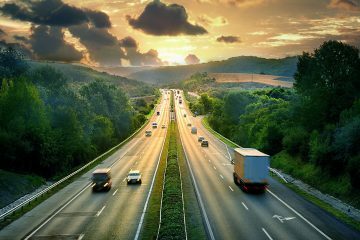 You’ll have three days of driving in traffic before taking your official test. The Class B license is very short, and the first three days consists of training. You’ll get right to work in the classroom, and you’ll be covering all of the Federal Motor Carrier Safety Regulations. You’ll also become familiar with the Georgia CDL manual. You’ll be able to go from start to finish in just six days. This is how Daly’s Truck Driver School has been able to help so many students get behind the wheel and into a new career. Daly’s CDL training program offers job placement, and this ensures that drivers can start their career as quickly as possible after graduating. The company promises that companies accepting entry-level drivers will take drivers from Daly’s. And dozens more. The company’s long history has built up the confidence in Daly. 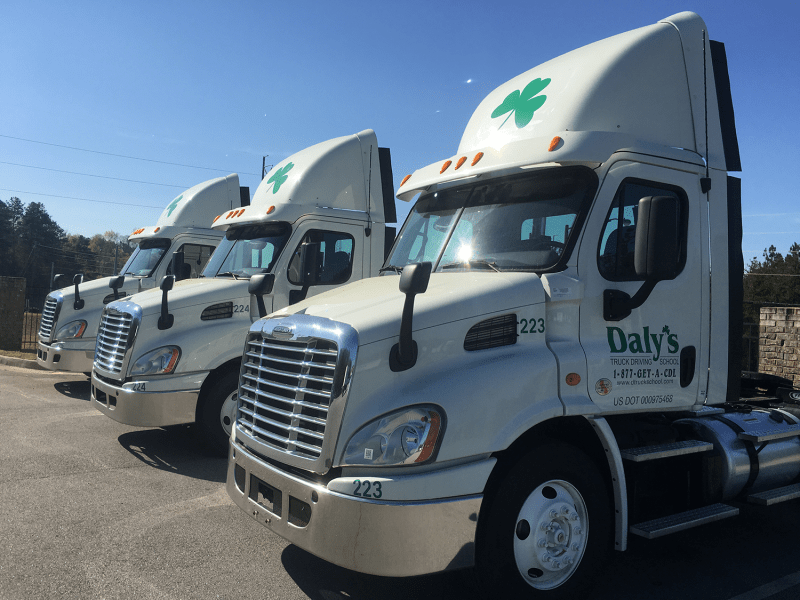 Trucking companies are confident that graduates from Daly’s can meet their demands, and this helps make job placement even easier for graduates. A lot of carriers will offer tuition reimbursement, and the company recommends calling them for more details. The company services the greater Georgia area, and the average class size in Georgia is just 18 students. This means you’ll receive the hands-on and personal attention needed to go through this accelerated course. You’ll need to meet the requirements in the pre-application process, and the company does not list their tuition openly on their site. A lot of truckers have reviewed Daly’s, and while there are a few that do have their complaints, the vast majority state that this is the school you want to attend if you want to be behind the wheel of a big rig. When signing up, you’ll notice that there is an application that will be sent to an admissions specialist. Little information is available about the company’s requirements for students, so you can expect to have to talk to a highly trained admissions professional. What this means is that they’ll call you and try pushing the sale. But as a leading trucking school in Georgia, it’s easy for the company to attract students. If you’re in Georgia or the surrounding area and want to drive a big rig, Daly’s is one of the best trucking schools around.